The foundation aims to reach their $600,000 goal by the end of September. CLAYTON, Mo. — If you've been meaning to treat yourself to a dinner or night shopping in Clayton, now is your chance to spend some cash. All day Tuesday, seven restaurants and two stores will be donating 10 percent of their proceeds toward benefiting Clayton High School's Adzick Field. 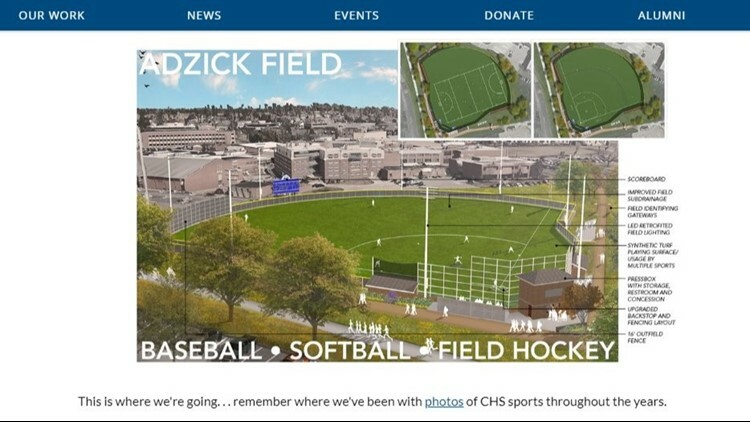 The multi-sports facility "will reach far beyond" the high school and will be a great asset for the children, college students and seniors in the community," writes the Clayton Education Foundation's website. As of September 5, $430,000 has been raised for the facility. The foundation aims to reach their $600,000 goal by the end of September. The seven restaurants participating in the fundraiser are Pastaria; Sardella; Cafe Napoli; Tani; and Kendra Scott. However, two other restaurants, Almonds and Oceano Bistro are only participating from 5 to 9 p.m. The two businesses, Dot Dot Dash Boutique and Lusso, will be participating in the event from 5 to 7 p.m.
To learn more about the fundraiser, along with Adzick Field, visit Clayton Education Foundation online.